Best sports betting tipsters – which nation rules? Sports betting social network bettingexpert.com has collated stats from the 1.198 million tips posted in 2016 to find which nation posts the most winning tips. And the study has shown that Sweden is home to the most profitable sports betting tipsters. Sweden and Denmark are the two most conservative countries, advising bets at an average of 2.18 and 2.15 respectively, and it has paid off for the Nordic nations, who top the table for win rate. 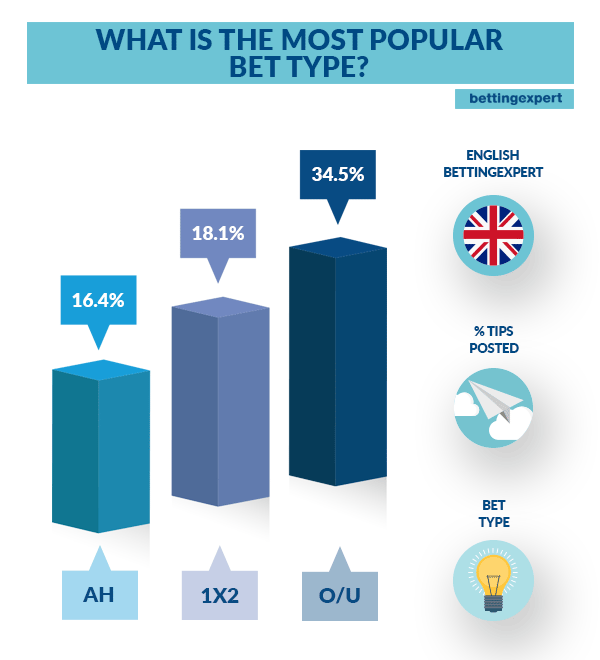 The average tipster from the UK community advises bets at average odds of 2.66. 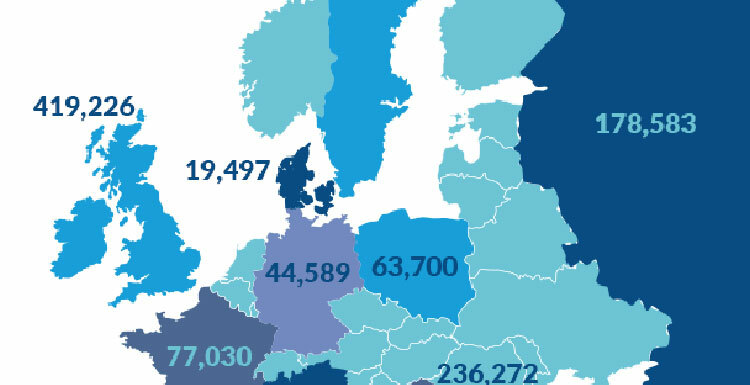 UK members of the site dominated the number of tips over the past year, posting over 400,000 - almost double that of Serbia in second and a fall in rankings from the Nordic countries down to the bottom of our rankings. 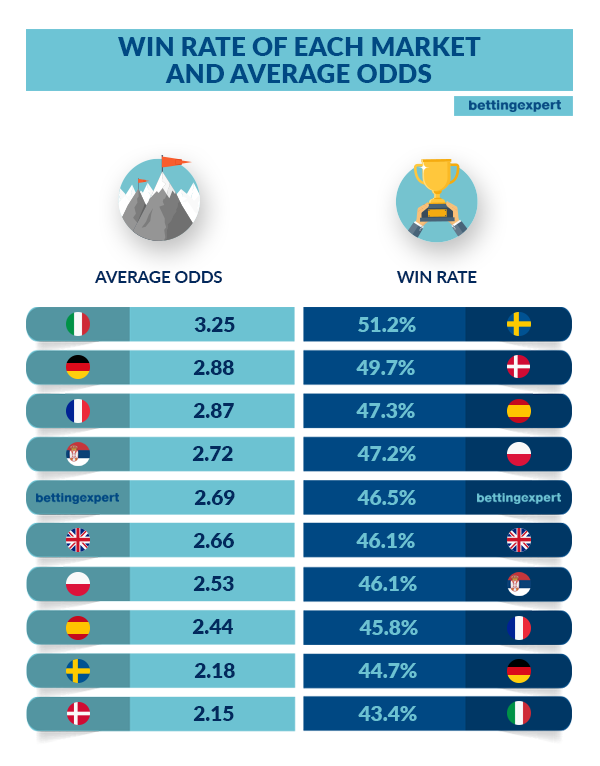 Football, Tennis and Basketball unsurprisingly dominated the most tipped-up sports at bettingexpert.com during 2016, but more interestingly is the average price won and lost by tippers on these sports. Those who came unstuck in football generally had a riskier approach with an average lost tip at 3.53, much higher than basketball, but the 11-a-side game was generally more rewarding for the risk taker with a higher average win rate of 2.11 above basketball’s 1.95. 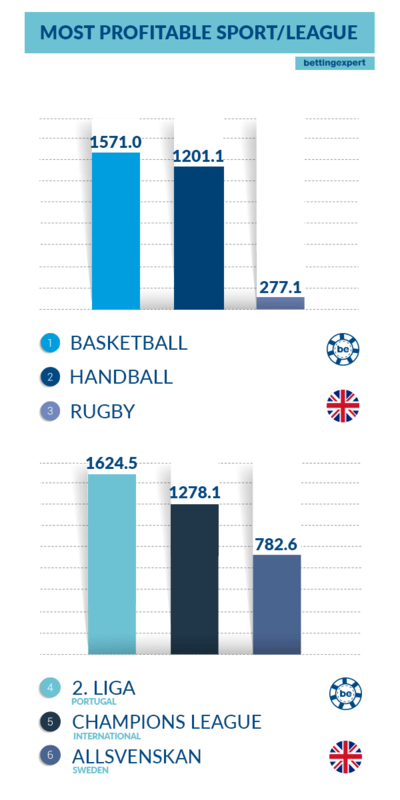 Basketball pipped handball to be the most profitable sport of the year, with rugby lagging a long way behind in third, with punters only just breaking even across the two codes. With these sports having the highest number of points in a match relative to the likes of football and ice hockey, maybe it pays for tippers to back the favourite when lady luck doesn’t allow for the underdog to sit back and sneak a result as is often the case in lower-scoring games. The UK community also seem to benefit from the cold weather at the start of the year with the most profitable months coming between January and April, before experiencing a significant lull as the Summer draws in. 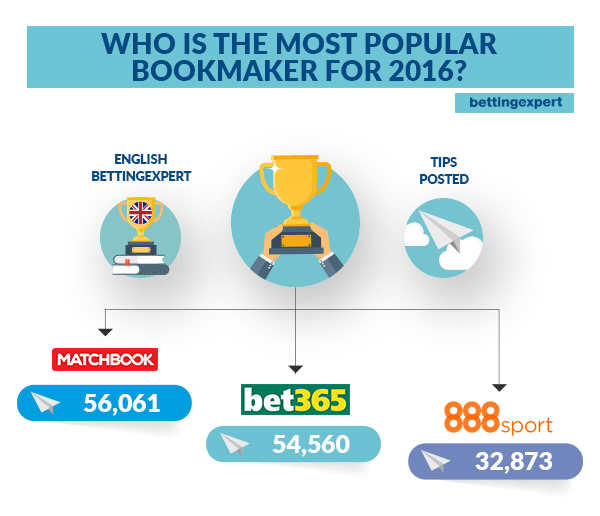 The bettingexpert.com community have certainly picked their favourites when it comes to bookmakers, with Matchbook and Bet365 appearing in the top three for number of tips posted across football, tennis and basketball, driving valuable revenue to the betting sites. Matchbook edged bet365 to take the most football tips with 13.9% of the total English market whereas bet365 dominated tennis and basketball tips which may not be the best result for them having looked at the basketball win rate in the community. Over/under tips have become increasingly popular over the year, with the UK community posting almost twice the number of tips than the more traditional 1x2 market whilst also seeing a gain in Asian handicap interest. Geographically, the North of England was also strongly backed by our English community, seeing Manchester City, Liverpool and Manchester United, first, second and third most tipped up teams in English market. London’s only representative in the top five most popular were Arsenal, coming-in just behind the Golden State Warriors from the NBA.